Wash and soak the dal in water for 10 minutes. At medium heat, in a pressure cooker, cook the dal along with cauliflower florets, salt, green chilly, turmeric powder and red chilly powder until 2 whistles. Let the pressure release by itself. Once cooled open the lid and add ½ more cup of water and bring to boil. (If you want, mash the cauliflower florets with a spoon). Meanwhile grind together coconut and cumin seeds with little water to a smooth paste. Add this to the dal when it starts to boil. Cook for 3 more minutes at med flame and switch off flame. In another pan, add oil and splutter mustard seeds. Add the dry red chilly, followed by thinly sliced shallots and fry until shallots are slightly wilted, Switch off flame add curry leaves. Pour this tempering over the dal and enjoy hot with rice. We are submitting this to the ongoing event 'Delicious Dals From India' @ Veggie Platter hosted by Suma. (http://veggieplatter.blogspot.com/2010/04/announcing-event-delicious-dals-from.html). BTW, which dal was used to prepare this - toordal or moong? Nice variation to the usual dal recipe..perfect entry for Suma's event..great click Dear..
Nice healthy dal..a new twist and looks super yummy...will try this. Cauliflower dal looks super delicious..Awesome and comforting food definitely..
wow, dhal out of cauliflower..thats something I have never tried.may be now I will! Interesting and a new dish I hvae never made cauliflower dhal.Very innovative and healthy too. Thats a good combination.. Lovely pic too..
Yummy looking dhal. My son lives on this dhal soup and dhal rice! Awesome click...innovative recipe...looks so yummy!! healthy n delicious dal...love dal of any kind...yummy! Mindblowing pics. marvellous, and never tried dal with cauliflower. It is a lovely combo. Love this well-presented healthy dal recipe..Ethum kootti chorru kazhikkan kothi varunnu..Brilliant pics!! Wooow,,,very good n delicious cauli dal dear comforting food goes well with rice n rotis..
adipoli thanne,i m nt 4rm payyanur, but 4rm kannur..my hubbby 4rm thaliparamba,entha chpdhche? adipoli thanne ketto, i m nt 4rm payyanur, but 4rm kannur only, my hubby 4rm thaliparamba, entha chodiche? 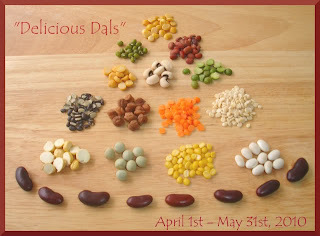 Lovely pictures, comforting bowl of dhall. Beautiful clicks a comfortable dal lovely. that looks divine...loved your perfect recipe dear. I made this for yesterday's dinner.came out really good.It will be a new addition for our dinner menus from now on. very new to me. I did not know that we can make dal using cauliflower. nice recipe. wonderful clicks too.